Hey guys thanks for sticking by my blog for the last couple of days, I had a crazy idea to change my blog name and it went horribly wrong. For one minute I thought I had lost my domain name forever but finally after reading endless amounts of forum threads its back and up and running again. The winter months always bring out my darker style, I can’t wait for Halloween my favourite time of the whole year. I think its so pretty to see the leaves turning colour and scattered all over the floor, it quite ceremonial don’t you think? Anyway I’m back to Baroque mixed with a bit of Meadham Kirchhoff and D&G, there is something about Dolce & Gabbana’s AW14 collection that has captured my heart! You must check out their SS14 collection its beyond beautiful. 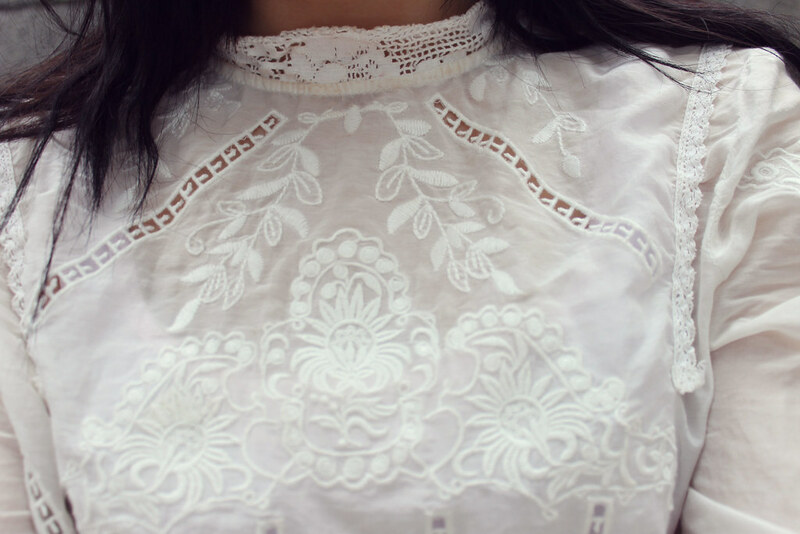 I have realised this Victorian Blouse I’m wearing has a hole on both sides, thats the problem with delicate Blouses, they can tear easily if not handled with care. I bought mine from Ebay but unfortunately I’m banned from there now, whoops. 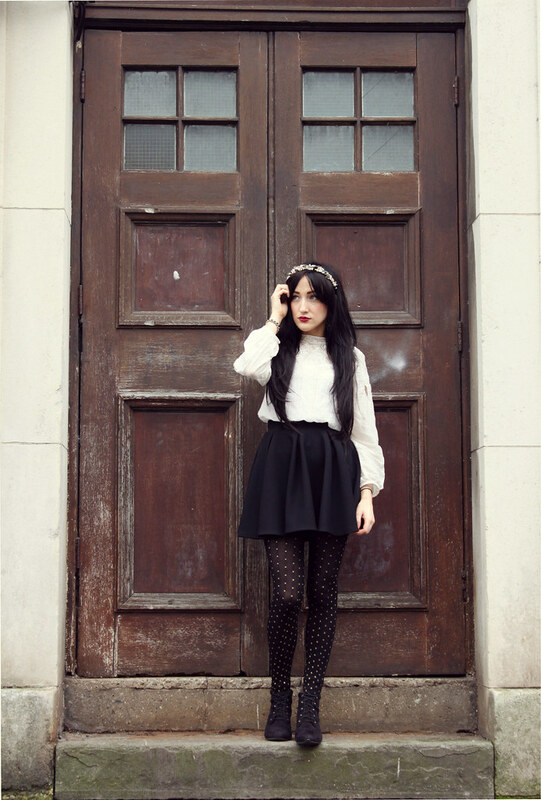 The Polka Dot Tights are from New Look and add that Meadham Kirchhoff AW13 influence. 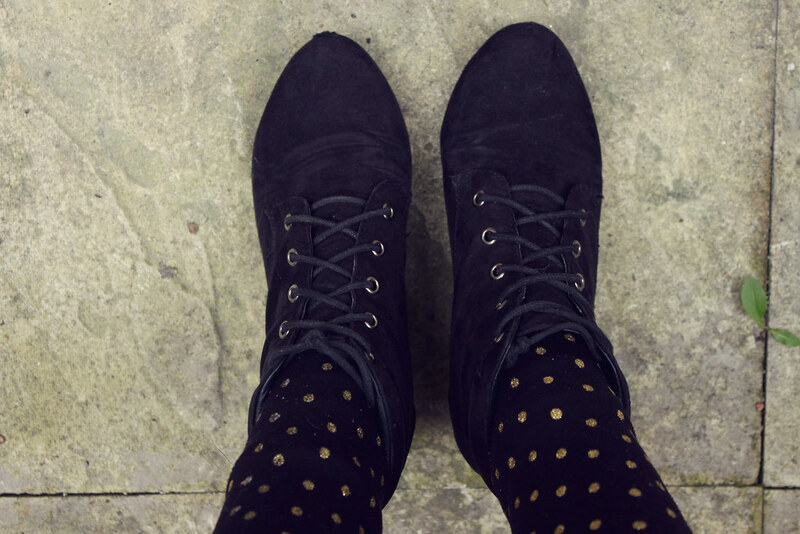 I practically live in my Black Suede Booties for Uni, they have a heel sound to them but are so comfortable as well, almost my ideal shoe. you are amazing as always. I like your white blouse, she is vintage and just perfect. 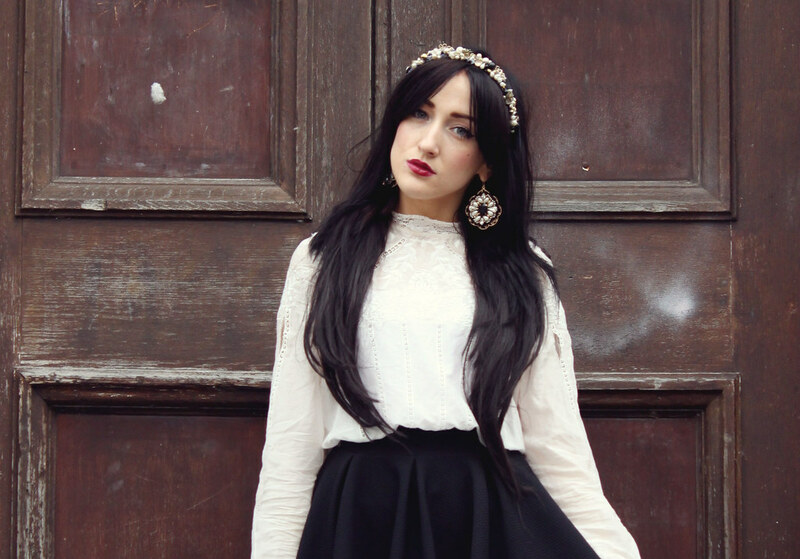 I love this whole outfit and adorable black skirt. It's just a dream skirt. Probably the most my popular style of the skirt. You are cool. I am sorry for my English, it is still terrible. I am in the process of learning.